After a brief search, I couldn't find a datasheet which is definitely for an LCD module with that part number. Be careful - that datasheet is for Vishay LCD part number LCD-016M002B, which is not the same as your module's part number. Therefore, although lots of information is similar between the various 16x2 LCD modules, I doubt that it is the correct datasheet for your module, and exact details (including the LED backlights) do vary between different 16x2 LCD modules. Look at the left side of the PCB, and you see two resistors, apparently in parallel, labelled RL1 and RL2 (where perhaps RL = Resistor [for] LED?). Although it would need tracing with a multimeter, the connection from pin 15 on the LCD connector appears to go (using some solder jumpers and vias) through RL1 and RL2 and then to the A (Anode) pin of the edge illumination LED on the extreme left of the PCB. Due to having those resistors on the PCB, the display in the photo would not need extra current-limiting resistors for its rated voltage on pin 15 (likely to be +5 V). If your PCB matches the one on the photo, and it also has resistors fitted in positions RL1 and RL2, and (for completeness) you can measure their resistance using a multimeter between connector pin 15 and the A pin of the LED connection on the PCB, then it is unlikely that you need to add extra resistors. However if your LCD module doesn't exactly match the one in the photo above (despite having the same part number), or yours doesn't have resistors fitted in positions RL1 and RL2, or you measure a direct short (i.e. 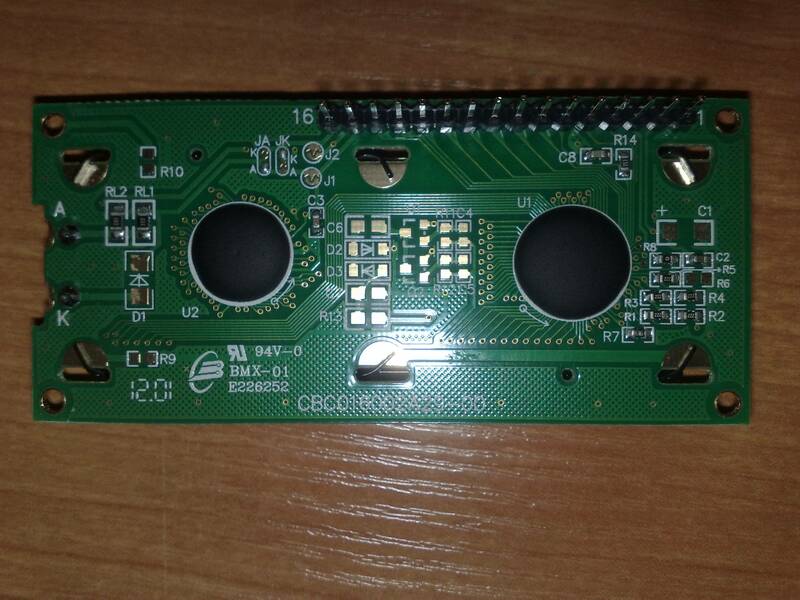 a direct connection, with no significant resistance) between connector pin 15 on the LCD module connector and the A pin of the LED backlight itself, then you need to supply a photo of your specific LCD module and we can review that. LED array is at the bottom of the screen. It has several LEDs like above, 6 parallel of 2 LEDs in series. Not the answer you're looking for? Browse other questions tagged led resistors or ask your own question. How can the value of a resistor be measured if it goes straight to ground? 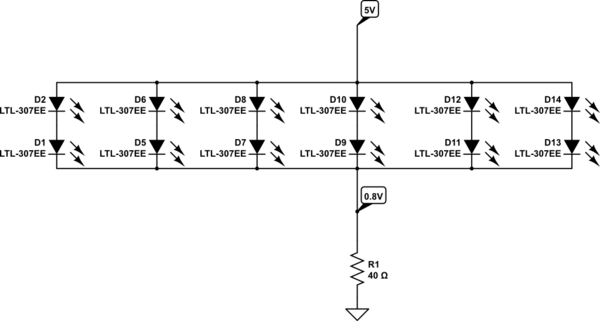 Resistor programming of a boost converter, check my understanding?